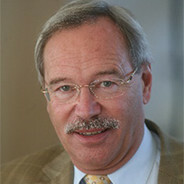 Prof. Dr. Dr. h.c. Dietmar Schmidtbleicher, Head and Chair for Sport Sciences at the Institute of Sport Sciences at the Goethe-University Frankfurt/Main in Germany. Main topics in his work are strength and power training, neuronal and muscular adaptations after training, diagnostics and regulation of training and the development of measurement devices. Furthermore he developed a method for training in high performance sports and rehabilitation using stochastic resonance. Prof. Schmidtbleicher was President of the Board of Directors of the Federal Institute of Sport Science for over 12 years, Honorary President of the European Interdisciplinary Society for Clinical and Sports Applications and a referee in 8 national and international journals. He published more than 460 articles and is a leading expert for strength and power training especially for top level athletes as well as for patients with problems in postural control and gait.